Had I known that making gummy candy was quicker than Jello, I would have made it long before now! Seriously, gummies take less than 30 minutes to mix, set, and cut, and only require four ingredients. Can it get much easier than that? 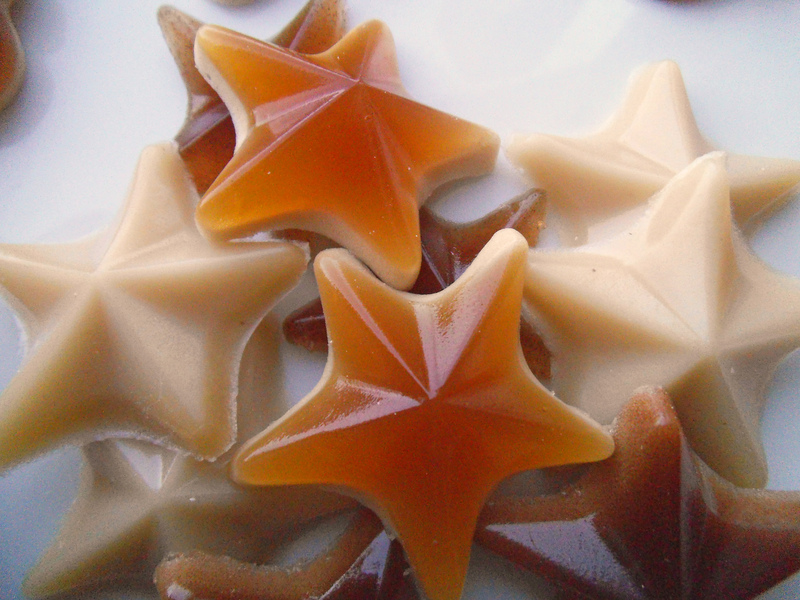 These candies were so easy that I had time to play around with sweeteners. I found that maple syrup tasted better than honey, but good old-fashioned sugar also worked well. There’s also room to fiddle with flavours. You can add some citrus juice to make them tangy or toss in a little cinnamon to spice them up. The texture of the ground cinnamon is slightly detectable, but no one minded. For a smoother candy, I did make a batch where I simmered coconut milk with cinnamon sticks and let it cool before making the candy. I used a cup of coconut milk with the cinnamon sticks, but only half went into the candy batch. The rest of the cinnamon-infused milk I saved for making steamed milk later. My favourite version of all was when I made a batch with cranberry juice blend, maple syrup, orange juice concentrate, a bit of lemon juice, and a little elderberry syrup. Elderberry syrup is said to help fight viruses like the flu, and it lent a richer colour to the candy gel. We gobbled up each of the fun variations quickly, so it’s nice to know that we can easily make more gummy candies to enjoy. This may have to become a weekly affair! Use a fork or whisk to blend ground cinnamon and gelatin in a small (cool) saucepan. Add cranberry juice (or coconut milk) and whisk to blend ingredients. Turn on heat to medium and once liquid is warm, stir in maple syrup, honey, or sugar. Continue to heat and stir until the mixture is smooth and relatively clear. Turn off heat and stir in orange juice and/or elderberry syrup if using. Transfer liquid gel to a glass measuring cup or other vessel with a spout. Pour into candy molds or a very lightly greased rectangular glass dish, such as a loaf pan. Freeze for 15 minutes or until entire candy has solidified. Pop out of molds or lift out of pan with a spatula and cut into pieces. To prevent pieces from sticking together, there is the option of using a small paintbrush to dust them with cornstarch or tapioca flour. Cover and store homemade gummy candy in the refrigerator or freezer.